Recently Apple COO Tim Cook spoke at the Goldman Sachs tech conference in San Francisco and talked about many aspects of the company from recent acquisitions to, of course, the iPad. 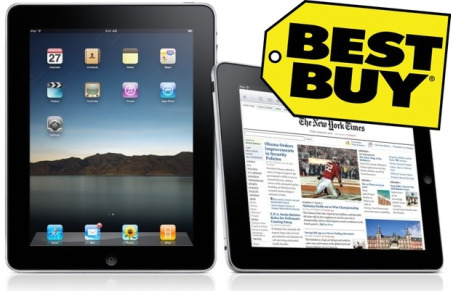 We expected the upcoming iPad to see release in Apple retail stores as well as being directly available from Apple.com like all their other products, however the news of the iPad being available in stores like Best Buy initially is good news to many. There are also many rumors that the device will be available through AT&T stores upon its release. Previous Entry: Video Proof of the Titanium iPhone- Looks real to me!! Next Entry: Is Opera 10.50 Beta for Mac Really “The fastest browser on Earth”?